Applying For Your First Loan? Purchasing your first home or investment property does not necessarily need to be an overwhelming experience. While there are many factors that need to be considered, having a good understanding of the process before you commence will place you in good stead. Before you commence the search for your fi rst property is it always advisable to calculate your borrowing capacity by obtaining pre-approval from a preferred lender. This involves us submitting all the necessary documentation to the lender to determine how much you may be able to borrow. Final approval will however be subject to property valuations and fi nal credit approval. 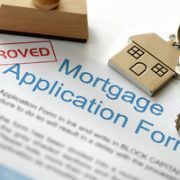 To apply for pre-approval you need to not only complete an application but also provide the following information for the lender to ascertain your identity, capability to repay, fi nancial security, financial risk and ultimately your borrowing capacity. Details of your previous addresses. details of other income (eg dividends from shares). details of any dependent children. If your deposit is a gift you will also need a statutory declaration confirming that the money is a gift and will not need to be repaid. It is advisable that you collate all your personal information and collect any missing documentation. It can sometimes be a lengthy process to obtain documentation through a third party. Once you have obtained your pre-approval and know your borrowing capacity you are ready to go ‘house hunting’. When you have found your property, made an off er within your price range, it is important to apply for fi nal approval from the lender immediately. if the property is for investment purposes, it is advisable to obtain a rental estimate. 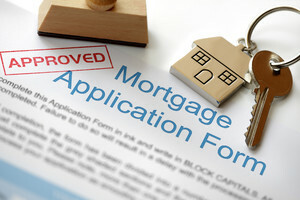 Once your loan is formally approved, we will arrange the mortgage documents for you to sign. We will go through the mortgage contract with you to ensure that you understand the contents. Need help negotiating your way through this process? Remember we are always happy to help. http://www.indigofinance.com.au/wp-content/uploads/2017/02/Applying-For-Your-First-Loan.jpg 200 300 wsadmin http://www.indigofinance.com.au/wp-content/uploads/2017/01/indigo-finance-logo.png wsadmin2017-01-30 02:56:112017-03-27 04:24:00Applying For Your First Loan? We Aussies enjoy taking annual leave, so why is it that so many of us have accumulated a large amount of leave that is screaming out to be used? Are employers being too tough and refraining from approving leave? Or are we letting everyday life and work commitments get in the way of planning for longer term events? Maybe the cost of a holiday is simply becoming too expensive to justify spending our hard earned cash? It is staggering that the 7.7 million1 full time workers in Australia have accumulated 123,510,0002 days of annual leave. That’s an average of just under 21 days – or almost a calendar month – that those workers could be spending relaxing and doing as they please! Even more interesting is that 28% of the total workforce has over 5 weeks of accrued annual leave. Rather than trying to understand why people are NOT taking leave perhaps we should look at the benefits of taking leave? Recent research3 indicates changes in career and jobs aren’t always triggered by events that occur at work. Surprisingly, personal events such as major birthdays, reunions and holidays ranked quite high on the list. The theory is that these personal events often cause people to rethink their life and what they are doing. This was particularly true where they spent these times with other people and had the opportunity to make a comparison. In other words until people take some time out of their everyday life (going to work) they don’t have time to assess what they are doing – and why. According to the ABS around 5 million full time workers regularly work more than 40 hours per week. That’s 65% of us! So it’s not surprising that people who DO NOT take leave tend to be unhappier at work and have higher stress levels. On the other hand those that DO take leave not only tend to be happier but are also more productive. It’s been shown that there is a strong correlation between workers’ levels of happiness and their ability to operate at peak performance. Don’t forget, when you’re operating at peak performance you are more likely to be considered for that promotion or pay rise. So why is it that so many of us don’t always take our annual leave? We need to find a balance between the cost of taking annual leave and the benefits that result from taking annual leave. Most importantly we should always strive to live within our means. An extravagant overseas holiday or that trip of a lifetime may deliver instant happiness, however this happiness may be short lived if we return with a mountain of debt that holds us back and causes stress well into the future. • lifestyle choices, including where you really want to live. Aim not to be in the 50% of workers with more than 4 weeks of accured leave!. Taking your leave regularly allows you to recharges the batteries and take the time to consider where you are and what you want to be doing. We were asked “What would happen to my mortgage if I lost my job?” The best advice? Be prepared! Our article includes some common sense tips on how to manage unexpected events such as losing your job. Third and final call: What happens if nobody bids at an auction? Selling isn’t a certainty at auction. In New South Wales and Victoria, for example, around a quarter of all auctioned properties are passed in (1). What does it mean for the vendor and prospective buyers when no one makes a bid? An auction campaign puts a property into the public eye, but not all interested parties will attend the auction or make a bid. This might be because they aren’t in a position to adhere to an auction’s binding sale conditions, or they need more time to consider the purchase. Other parties may see a chance to skip to the negotiating stage if no one is bidding. In the wake of a failed auction, the agent will likely contact everyone who showed interest in the property during the sales campaign, in the hopes that one of them will make an offer. If your property didn’t sell because your price was unrealistic, you might need to lower your expectations. Find out how many days similar homes in the same area are typically on the market. Houses left on the market for too long tend to attract lower sale prices, so if your campaign has stalled, it might be wise to take a break. You may want to consider launching a fresh campaign at another time with different photos, a new write-up and perhaps a new agent. For prospective buyers, an unsuccessful auction can be an opportunity to nab the property at a lower price. Following a failed auction, the highest bidder earns the first option to negotiate with the seller. If their offer is rejected, the property will be open to all parties. There’s a good chance the vendor will be more motivated to sell if their property is still on the market more than two or three weeks after auction. A failed auction may seem disastrous, but many properties that don’t sell under the hammer sell privately within a few weeks. So whether you’re a buyer or the vendor, be prepared to talk numbers. 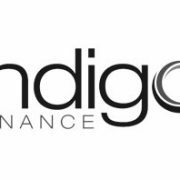 http://www.indigofinance.com.au/wp-content/uploads/2017/03/default-v2.jpg 198 300 wsadmin http://www.indigofinance.com.au/wp-content/uploads/2017/01/indigo-finance-logo.png wsadmin2016-10-22 02:41:362017-03-09 02:30:48Third and final call: What happens if nobody bids at an auction?